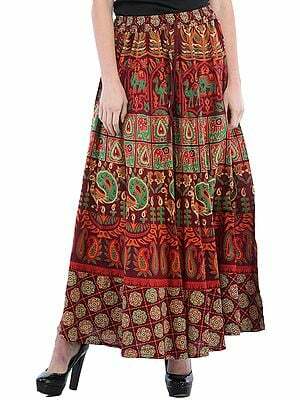 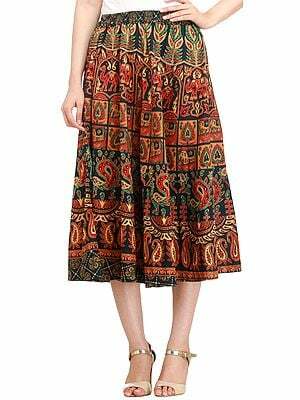 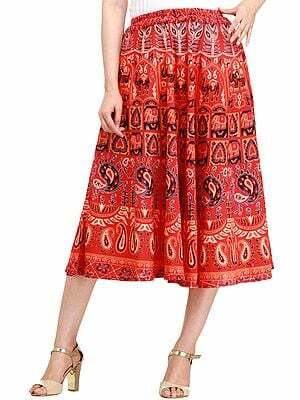 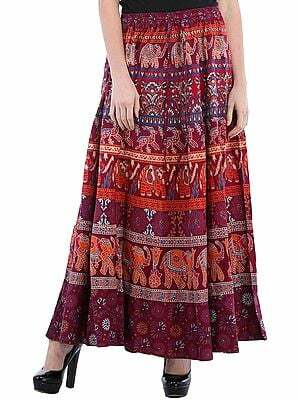 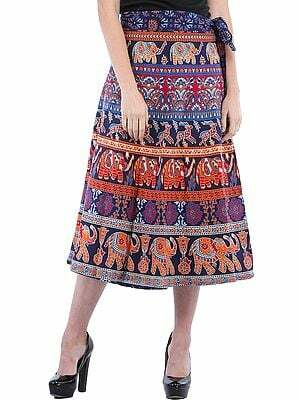 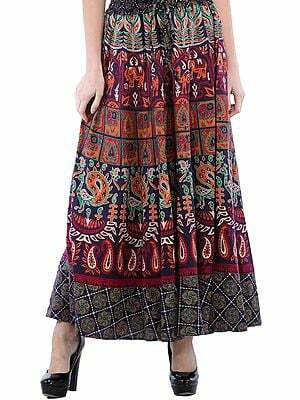 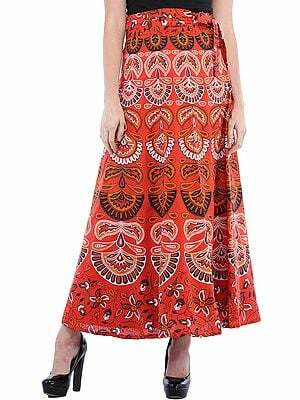 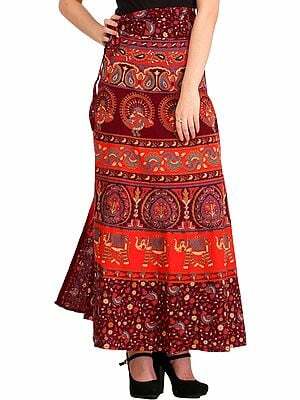 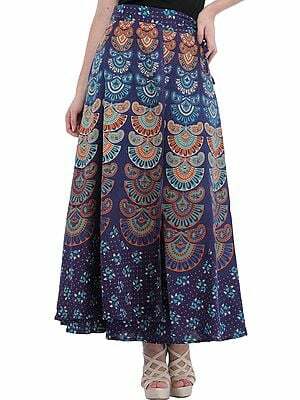 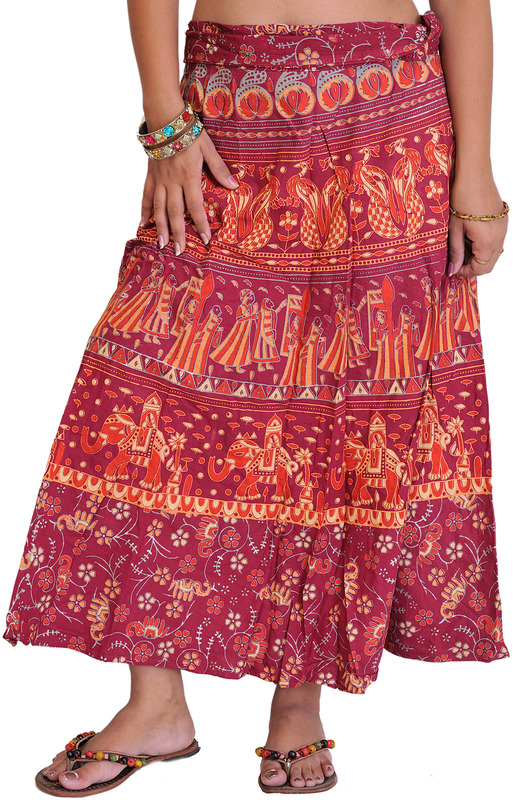 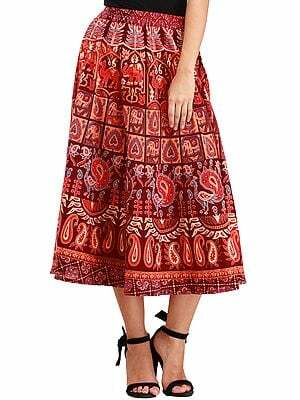 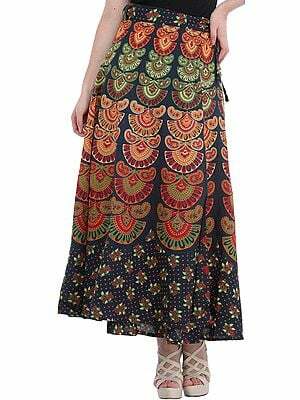 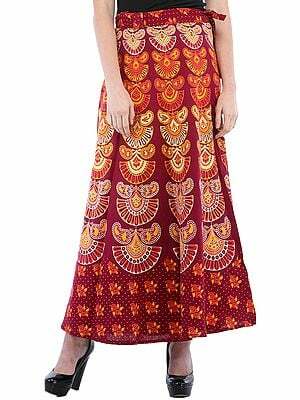 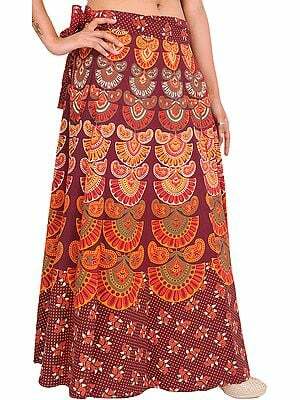 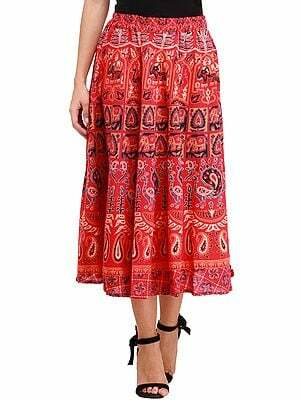 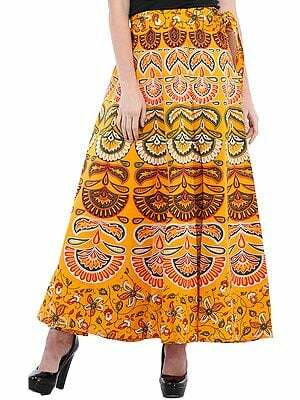 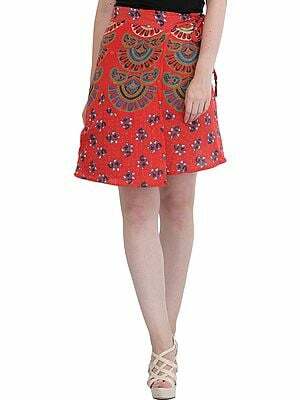 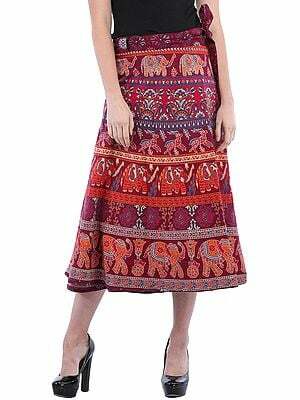 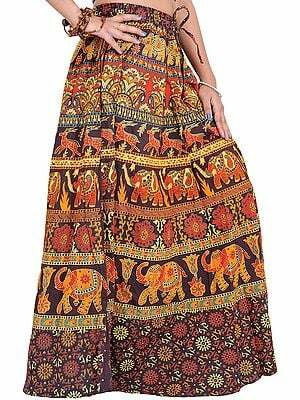 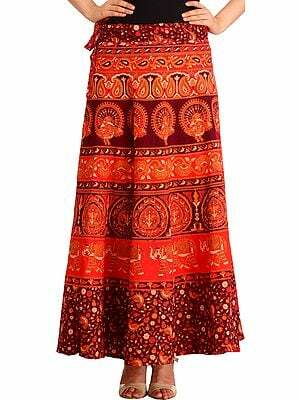 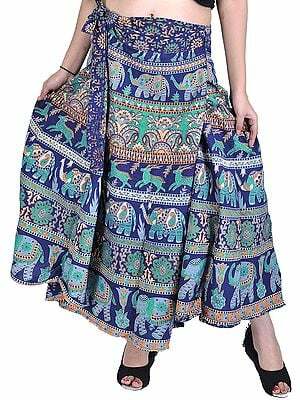 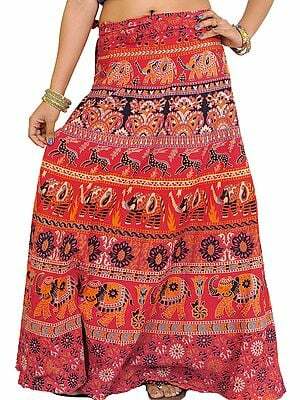 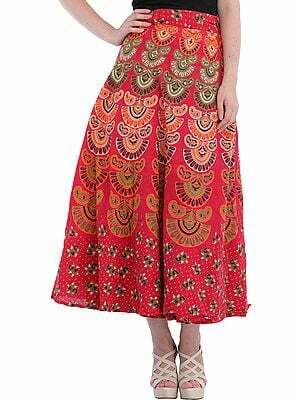 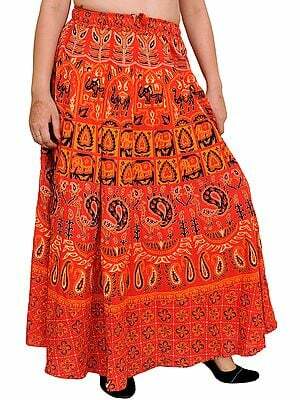 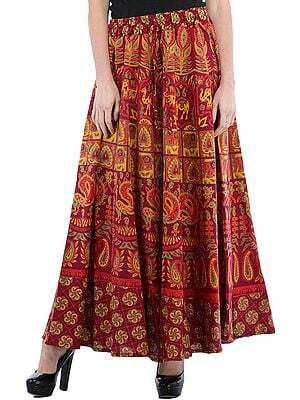 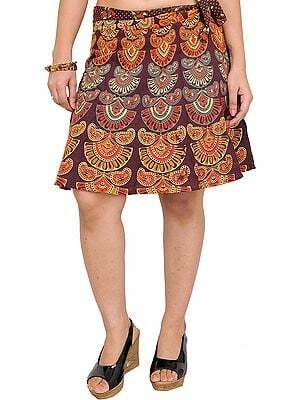 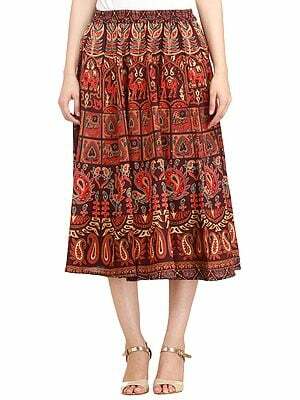 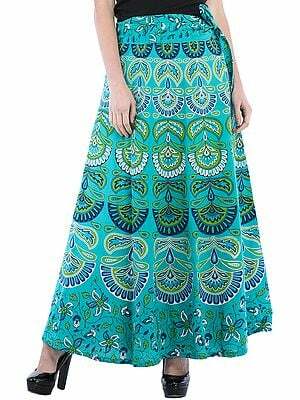 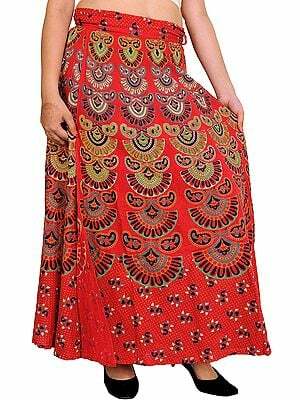 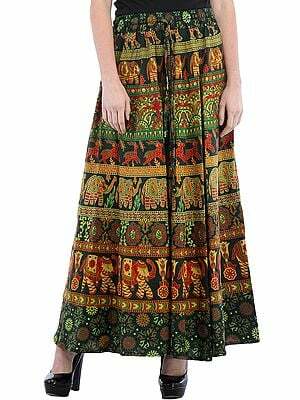 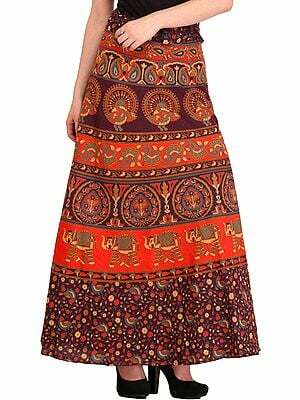 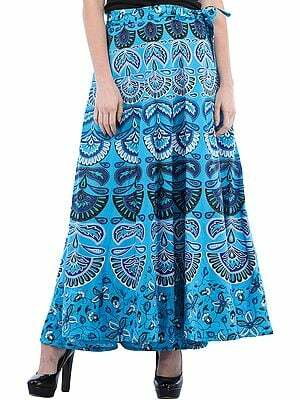 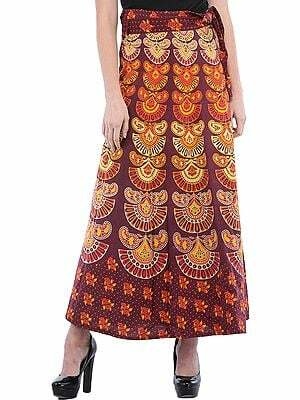 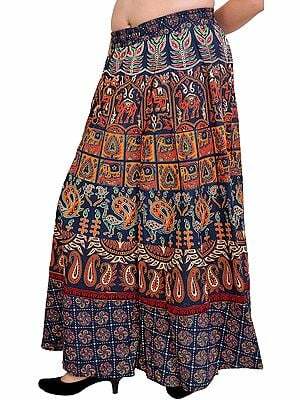 This gorgeously coloured Sanghaneri skirt comes block-printed with an unusual range of motifs. 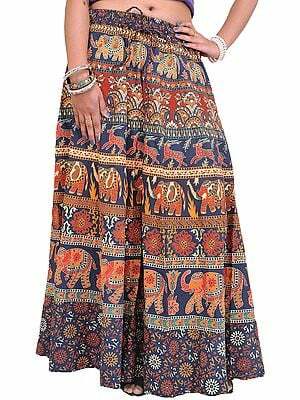 Comprising of nothing less than a wedding procession, this skirt features panels of elephants bearing the groom on its back, a veiled bride within a spacious palanquin, and floral and fruit motifs indicative of a wedding feast. 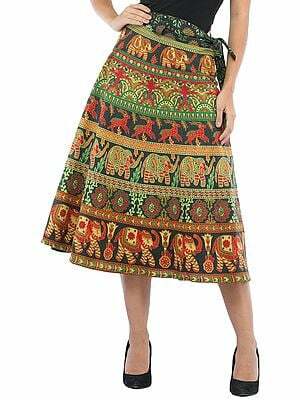 Do note the incredible amount of detail brought out in each of the figures on this skirt.